Fresh is best, whether you sauté them or make ceviche, so lucky us. The scallop fishery in Maine seems to be in better shape this winter, due to some smart restrictions and regulations instituted in the past couple of years. Yay! Scallops are one of the most luscious bounties of the sea – a rare (and pricey) treat that is perhaps better appreciated now that they are not as abundant as they once were. On New Year’s Eve, I made these sautéed scallops (for two), and I plan to serve scallop ceviche as a first course at an upcoming dinner party. I like to sauté scallops (as opposed to broiling them) because I can watch the cooking process carefully and turn them at precisely the right moment. This technique of basting the scallops as they cook is a trick learned from a Cook’s Illustrated cookbook, and I think I’ll adopt it permanently. For a fancy-ish dinner, add broccoli puree and potatoes roasted with parsnips and onions as side dishes. If scallops are wet, pat dry between 2 paper towels. Season scallops on all sides with salt and pepper. Heat oil in medium skillet over medium-high heat until hot. Add scallops in a single layer and cook without stirring until well browned, about 2 minutes. Add butter to skillet, turn scallops, and continue to cook until firm and centers are opaque, 30 to 90 seconds. As scallops cook, tilt pan so butter runs to one side and use a large spoon to baste scallops with melted butter. Transfer scallops to plates or serving platter, add lemon juice to skillet and swirl to mix. Pour butter over scallops, sprinkle generously with crumbs and serve. In ceviche (also spelled seviche), a South American specialty, citrus juices “cook” the raw seafood, turning it from translucent to opaque just as if it were subjected to heat. This is a pure, simple and very delicious version. The primary requirement is using impeccably fresh scallops, and thankfully, we can get them here in Maine. Cut scallops into ¼-inch slices and combine in a bowl with the citrus juices and scallions. 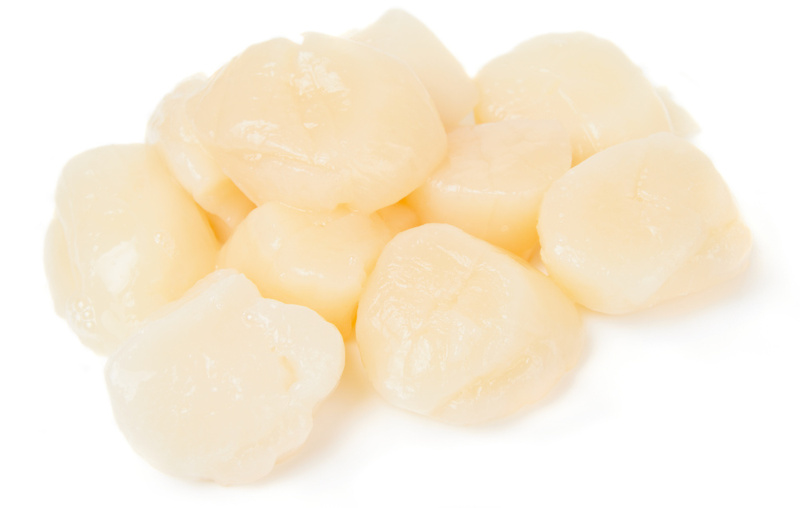 Cover and refrigerate until the scallops become opaque, at least 2 hours or up to 6 hours, stirring once or twice. Season with salt and pepper and stir in cilantro. Spoon into a serving bowl or serve on individual small plates or in stemmed glasses, garnished with lime wedges.